WEIGHT: Sold By The Gram Limited Supply!! 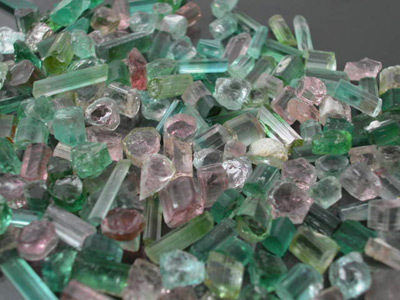 Awesome shades of TOP TOP Afghan Tourmaline containing practically every color of the rainbow. This material is being sold by the gram (or carat - whichever you prefer). Please note that most of the stones in this lot will cut eye-clean or better with the bulk being able to facet 10x clean; however, there are a few very slightly included stones that would be at max 10% but probably far less and a few of these may facet very slightly included. Practically every stone in here has been hand-selected as a cutter! 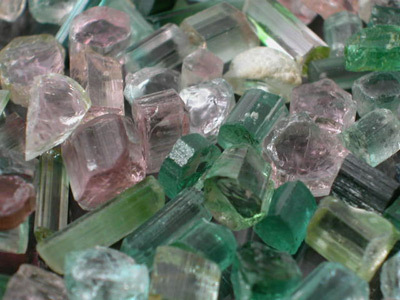 Most of the stones are nice crystal sections shaped for high weight returns and they range in color from mostly pastel and hot-pink to some lovely neon blues and greens and some awesome bi and tri-colors. 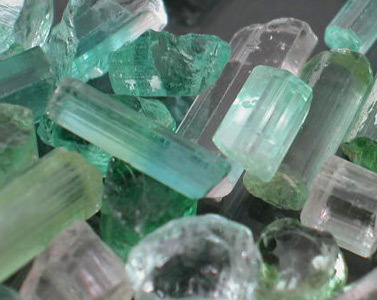 This material is indicative of some of the best that Afghanistan has to offer and is the stuff you see retailing for $10-$20.00 per carat. We have a limited amount of this on hand so pick some up before it is gone!! PLEASE NOTE THAT THERE IS A 15 GRAM MINIMUM AND THIS MATERIAL IS SOLD ON A BLIND POUR BASIS ONLY! This minimum will go up in the near future as more material becomes available and is only being offered for trial purposes. 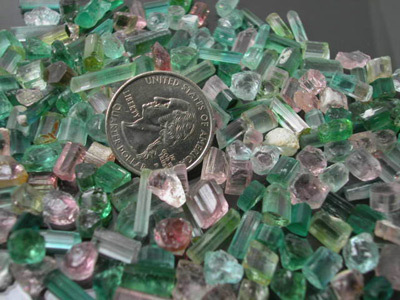 Afghan Tourmaline pockets tend to be relatively small in size and as a result consistency in color& quality is a rarity! 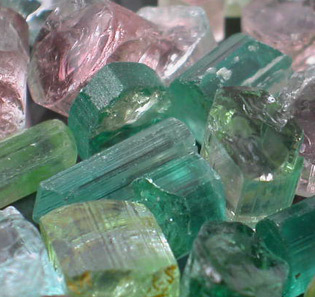 We have never seen Afghan Tourmaline sold by the kilo with like colored and quality material and lots are generally small in size seldom going over 1/2-1 kilo.